Did you know that Type 2 Diabetes often has no symptoms? Did you also know November is Diabetes Awareness Month? So there is no better time to highlight the Diabetes Prevention Programme run by The Healthy Lifestyles Project at Parkside Sports Centre. The Diabetes Prevention Programme is an individually, tailored programme and is aimed at people at risk of Type 2 diabetes. The programme supports, encourages and helps an individual to change their lifestyle, weight, health and well-being through access to exercise, cookery sessions, and sign posting to other services. Support from a personal coach, one to one sessions which include anything from reading food labels to walks in the local park and much more. To access this free service just make an appointment at your GP and request a blood test to check if there is a possibility of Type 2 Diabetes developing. If so ask to be referred to the Diabetes Prevention Programme. After this one of the lifestyles coaches will then contact you, arrange to meet and together you will develop your own personalised plan for a fitter and healthier future. What is The Healthy Lifestyle Project? 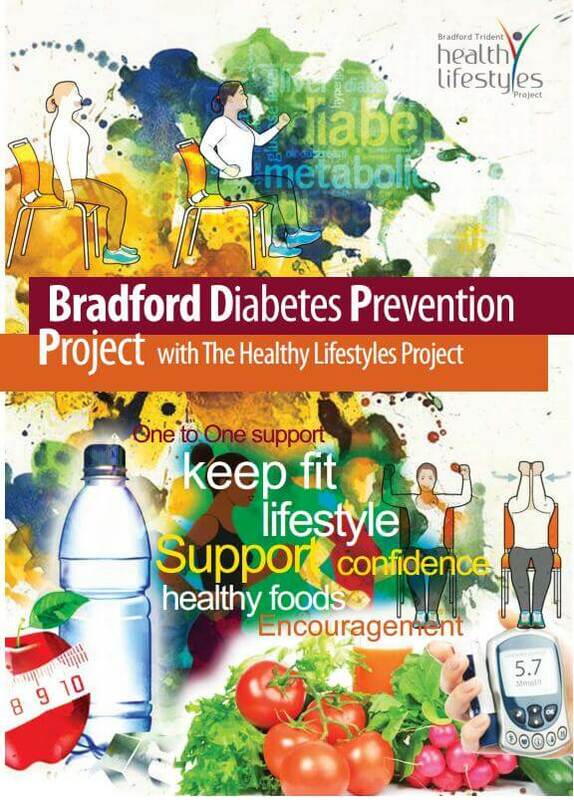 The Healthy Lifestyles Project is based at the Parkside Sports Centre and delivers various sessions which aims to improve the health and well-being of the community in the BD5 and surrounding areas. • Ladies Keep Fit and Zumba. • Cook and Eat sessions which vary from Budget cooking to programmes designed for individuals at risk of Type 2 Diabetes. • Cookery sessions for adults with learning difficulties. • Children School holiday sessions such as: Mini Chef and Monday Mini’s holiday activity club. • Lunch clubs for senior citizens: a 3 course meal with games and activities. • A monthly Community meal: low cost, high quality meal accessible to all. • A Khana Peena lunch: A traditional meal prepared and cooked by local volunteers. • A Ladies Walking Group. • A dementia: Wellbeing Café for the most vulnerable and at risk groups in the community. • Seasonal events such as a Christmas meal for Senior Citizens in the community.